Your robotic partner in fun! Team up together for some awesome antics and sneaky adventures! The Really R.A.D Robots Remote Controlled MiBro isn’t just a robot you watch, he’s a robot that’s totally under your control! 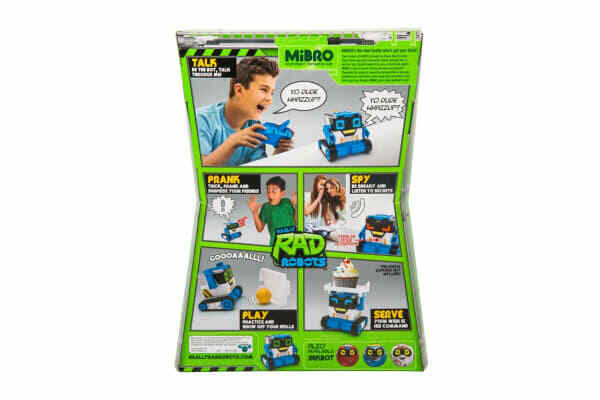 There is so much you can do with the Really R.A.D Robots Remote Controlled MiBro – play, prank, spy, serve and show off your robotic skills! 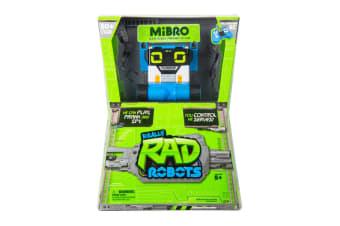 Prank your friends using the Really RAD Remote to speak through Mibro and add filters to your voice, so you can sound even sillier or scarier! 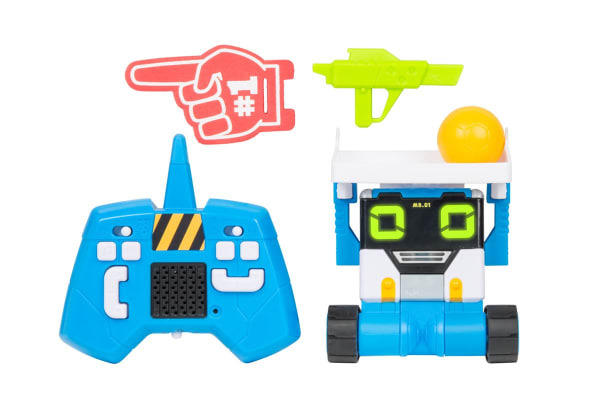 Use the attachable blaster to blast away your enemies or use his tray to deliver refreshments! You can even use MiBro’s tray to carry your smartphone! The tray also transforms into a goal and can be used to score the winning goal with the included ball.